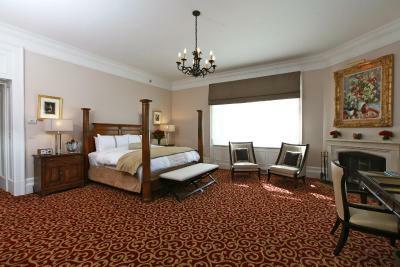 Lock in a great price for Castle Hotel & Spa – rated 8.8 by recent guests! The room was huge and comfortable the bed felt like I was sleeping in a cloud very clean. Staff and service were excellent. 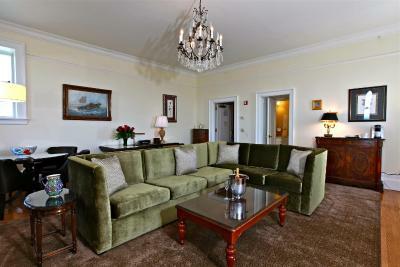 Location is ideal, with gorgeous views over the Hudson. 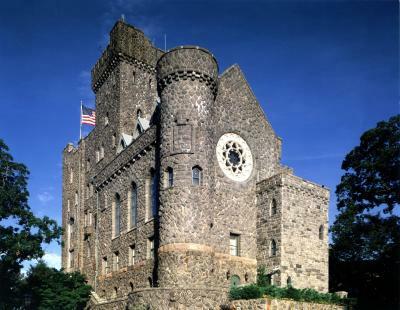 The building itself is as the name implies - an old, regal, stone structure on top of the hill. A great experience. Beautiful property, scenery & landscaping marvelous. 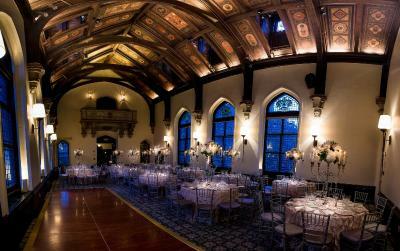 The Castle itself is very majestic and romantic. The staff were nice. The food was excellent. Staff could not be more attentive. Quality of ingredients and preparation was on another level. 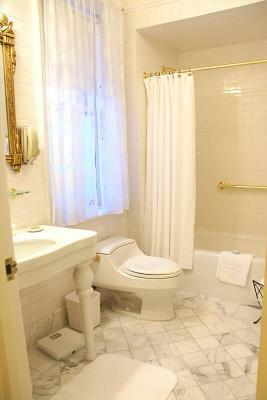 The rooms are very clean, luxurious and comfortable. One of the best experiences in travel so far. 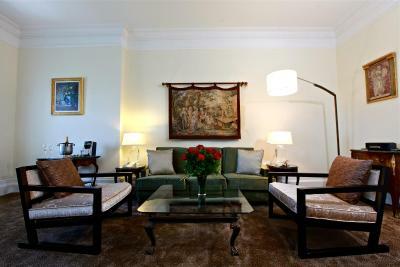 It is among my top 5 places for staff, comfort, luxury and friendliness. 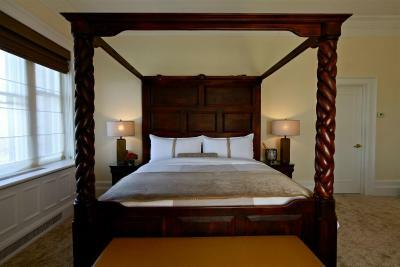 Very beautiful and romantic perfect for a weekend getaway with your special lady. The service is very good and helpful, the restaurant is very good and the food is elegant. The bartender by the pool area was very friendly and made exceptionally great and fresh drinks and food. Overall very good experience. 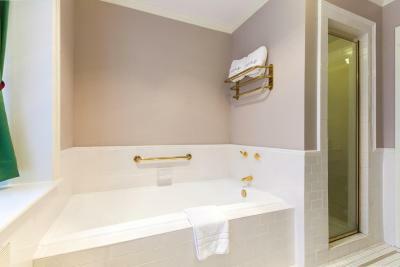 Castle Hotel & Spa This rating is a reflection of how the property compares to the industry standard when it comes to price, facilities and services available. It's based on a self-evaluation by the property. Use this rating to help choose your stay! 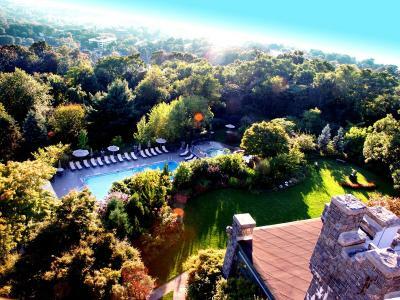 This historic Tarrytown hotel features views of the Hudson River, a full-service restaurant, full-service spa and an outdoor pool complex with a hot tub. 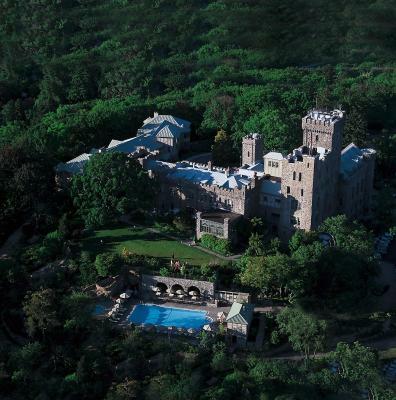 Kykuit, the estate of John D. Rockefeller, is 3 miles away. 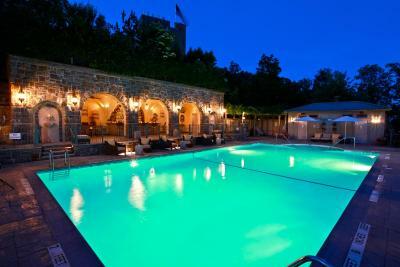 Castle Hotel & Spa features a terrace with lounge chairs. 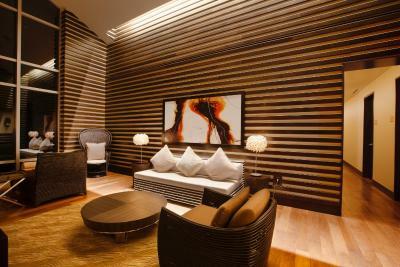 Sankara Spa offers luxury spa services. 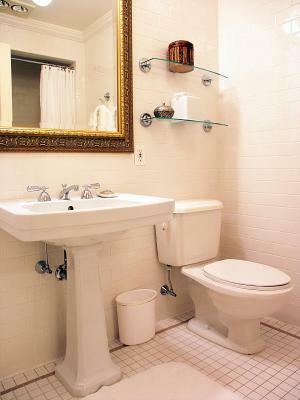 Guest rooms are equipped with cable TV, Bose radio, and a free mini-bar. 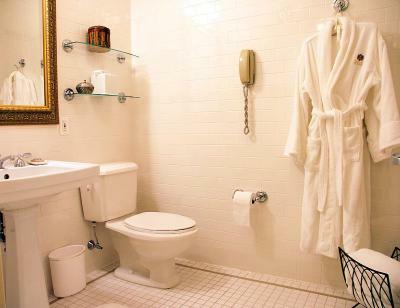 Plush bathrobes and free Wi-Fi are also included in each spacious room. 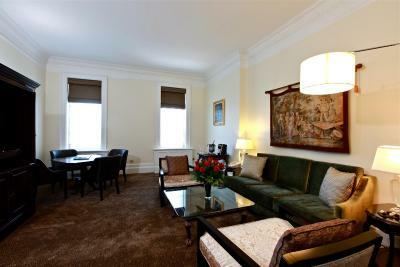 Suites boast a separate living room and views of the Hudson River. 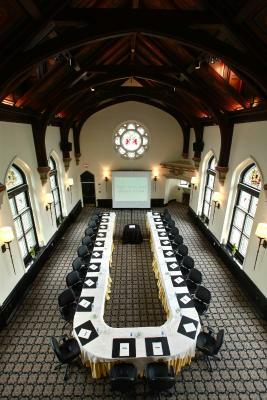 Equus Restaurant at the Castle Hotel & Spa in Tarrytown offers 2 unique dining rooms. The Garden Terrace serves breakfast, lunch and dinner. Washington Irving’s estate and other historic sites like the Sleepy Hollow Cemetery are located 10 minutes’ drive from the hotel. The Westchester Mall is 7 miles away. 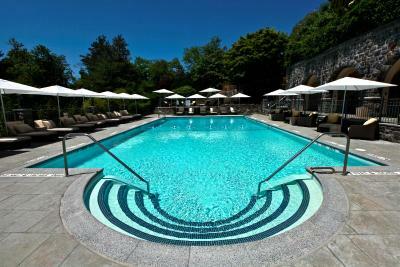 This property also has one of the top-rated locations in Tarrytown! Guests are happier about it compared to other properties in the area. 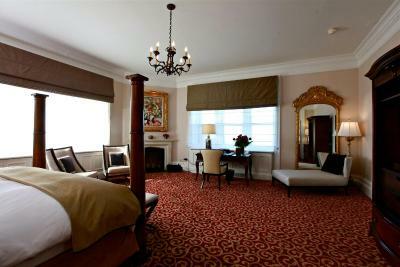 When would you like to stay at Castle Hotel & Spa? 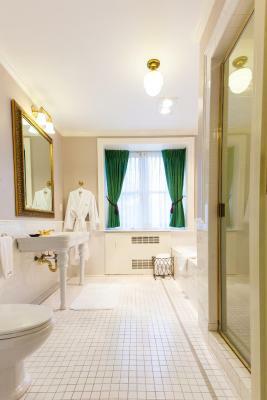 This room includes a flat-screen HDTV, Tivoli clock radio, Bose sound system and complimentary high-speed internet access. 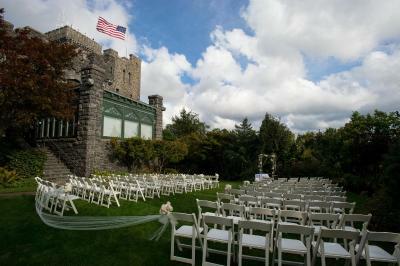 Views of the Hudson River Valley and New York City skyline are also offered. Long before the Castle Hotel & Spa gained its sterling reputation as a world-class destination for relaxing and romantic getaways with superb cuisine, it held a prominent place in Westchester County and New York City society at the turn of the century. The story of the Castle begins shortly before the turn of the 20th century, when General Howard Carroll, a well-respected newspaperman, playwright and businessman, purchased the land as a home for his growing family. General and Mrs. Carroll were notable social figures in Westchester County and New York City society. They entertained frequently and on a grand scale resplendent in the tasteful luxuries of the era. 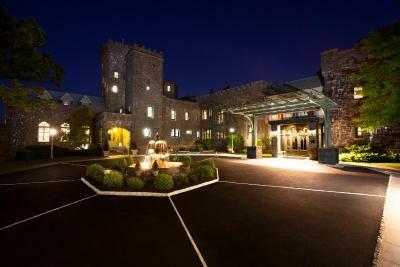 House Rules Castle Hotel & Spa takes special requests – add in the next step! One child under 12 years is charged USD 30 per night when using existing beds. 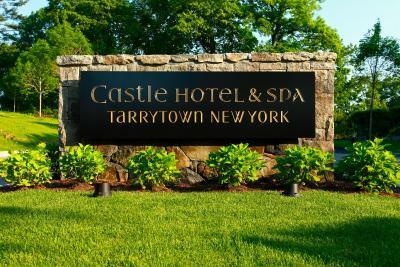 Castle Hotel &amp; Spa accepts these cards and reserves the right to temporarily hold an amount prior to arrival. Castle Hotel & Spa accepts these cards and reserves the right to temporarily hold an amount prior to arrival. nothing not to like at the Castle. 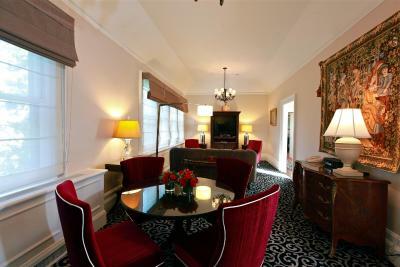 Excellent room, wonderful dinner and breakfast. What I didn't like was me leaving. That i didn't get to walk around outside more than I did. My experience at the Castel was great. The staff was helpful, professional, and very accommodating and made our stay very special - especially Allison! I didn't like that the hotel was not at capacity by any means yet I was given a room that was so far away from EVERYTHING! They authorized a thousand dollars off my card that I am still waiting for the pre-auth to drop. SMH! The carpet is old and needs replacement tv in the room very small. Need replacement as well. The bed is comfortable. 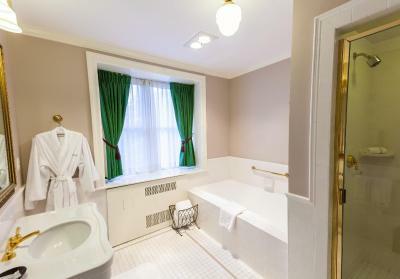 The linens are nice. Nice size room. Everything was amazing! 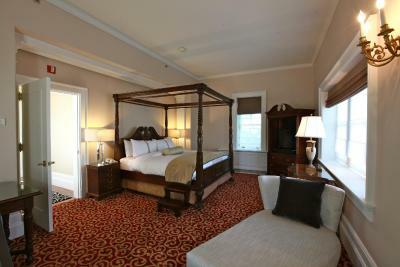 Because they knew ahead of time about my quest to visit as many historic hotels as possible, they upgraded our room from a deluxe king to a suite in the main castle!! What a nice surprise at check in! The suite was amazing. It had a working fireplace and the most amazing view of the Hudson River and the Manhatten skyline. There was a mini bar with complimentary beverages and the most comfortable bed ever. We were treated to a tour of the hotel by Jorge, the lounge bartender (who also made a fantastic martini!) Dinner at Equus, the restaurant was delicious. We had a seat by the fireplace and the waitstaff was very attentive. When we returned from dinner, the bed had been turned down and chocolates were left on the nightstand! We made a call to the front desk and within minutes we had an attendant building a fire in the fireplace! Breakfast the next morning was a buffet with made on demand omelettes. Delightful. 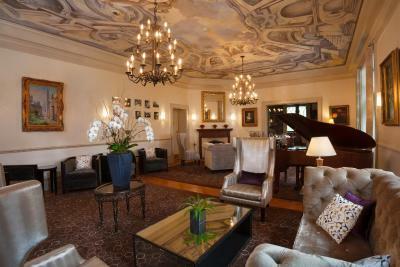 The whole experience was surreal and this hotel is on the top of my list of favorite Historic Hotel locations! Thank you to everyone who made this happen for us! We celebrated my daughters 5th bday here and it was magical!!!! We thought the breakfast was good , not great, and expensive for what it was. We would probably not to choose to eat there if we returned.